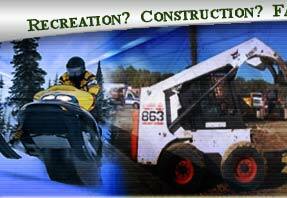 We carry a large selection of Load Trail, C and B, and Walton Gooseneck and Bumper Pull Dump Trailers. Hillsboro Aluminum and Steel Flatbeds are the Best in the Industry. We have a full service department/shop including full servicing, welding, fabrication, electrical wiring, trailer hitch installation, etc... If we can't do it, it can't be done AND at reasonable prices! 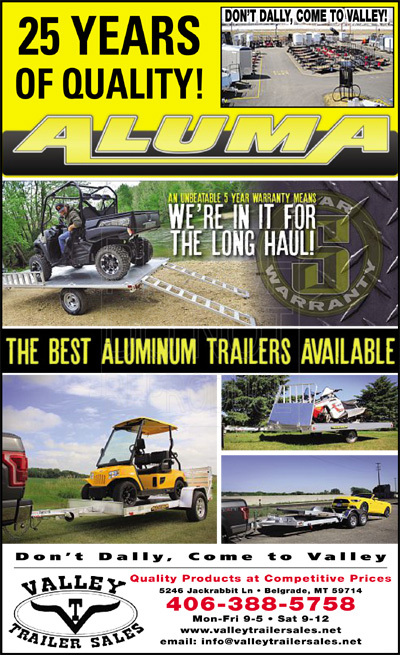 We carry a very large selection of Cargo Trailers from Mirage Trailers for all your cargo hauling needs! 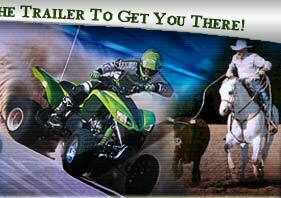 We carry a wide selection of flatbed, utility, snowmobile, 4-wheeler trailers in bumper pulls to goosenecks. Proudly Designed & Hosted by Big Sky Internet Design, Inc Valley Trailer Sales, Inc. All rights reserved.